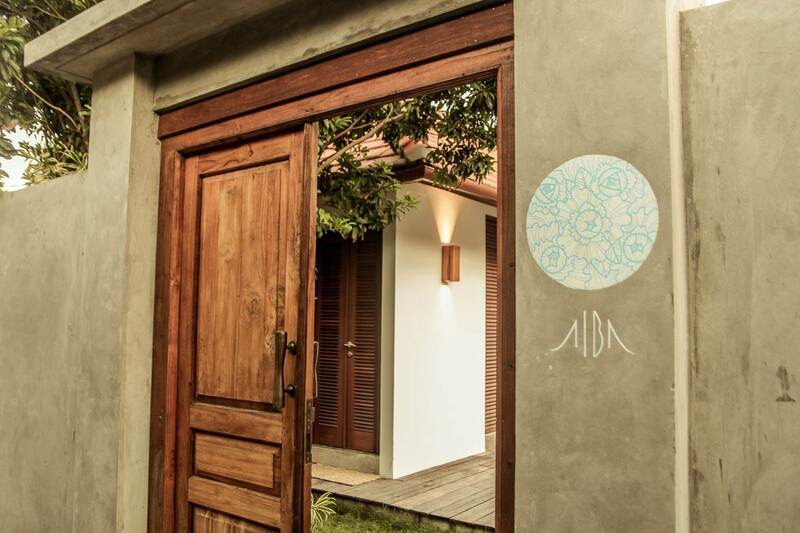 Villa Alba is one of our first pre-designed villas built in Lombok. 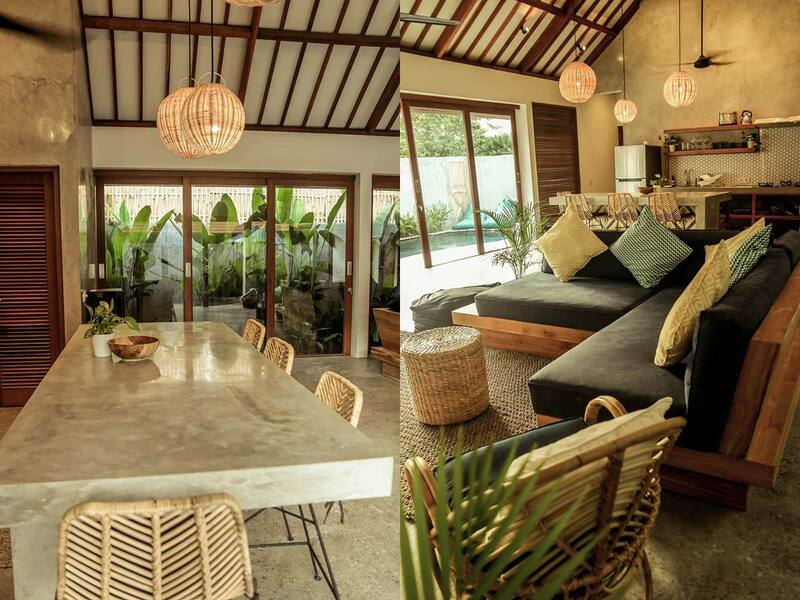 With a designed and built process of less than a year, Villa Alba is the perfect example of medium size house with modern and tropical style architecture and the highest quality built. 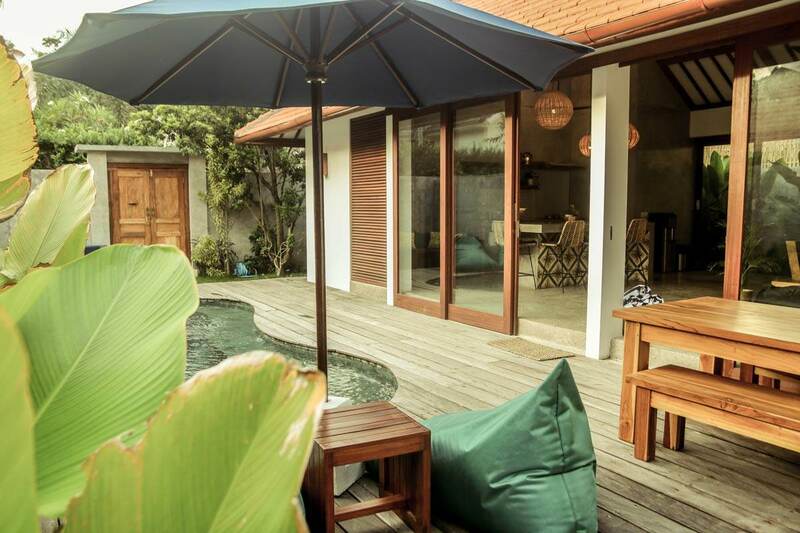 Completed in early 2019 and built to the highest standards, Villa Alba offers all the comforts of home in a tropical, modern oasis. Polished concrete floors, open plan living, exposed wood beam ceilings, sliding glass doors and locally handcrafted furnishings are just some of the design highlights. 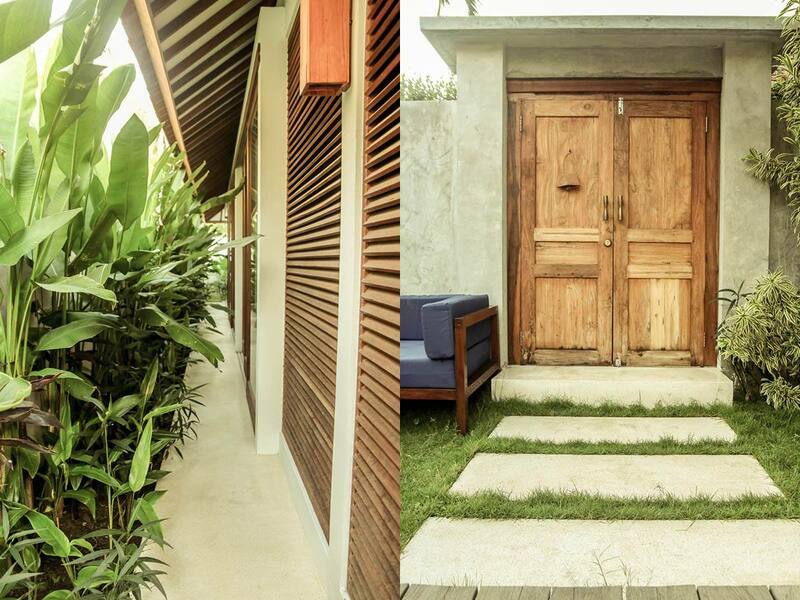 In terms of Sustainable performance and strategies, the clients were also very passionate about the environment and encourage us to ensured that the villas were passively designed where orientation, cross ventilation and low albedo materials play a huge role in the house to assure minimal thermal loads. On top of that, the villa includes solar power and hot solar water to reduce as much as possible its carbon footprint. All lights, fans, fridge, hot water and a selection of power outlets are powered by solar 24/7. 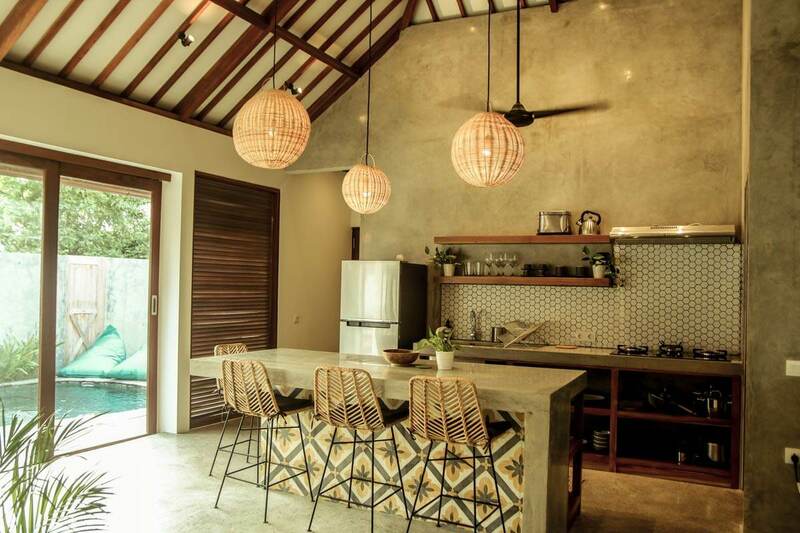 And now that is up and running, the clients also only use eco-friendly cleaning and laundry detergents throughout the villa and provide guests with refillable natural toiletries (soaps, shampoo, shower gel, bug spray). 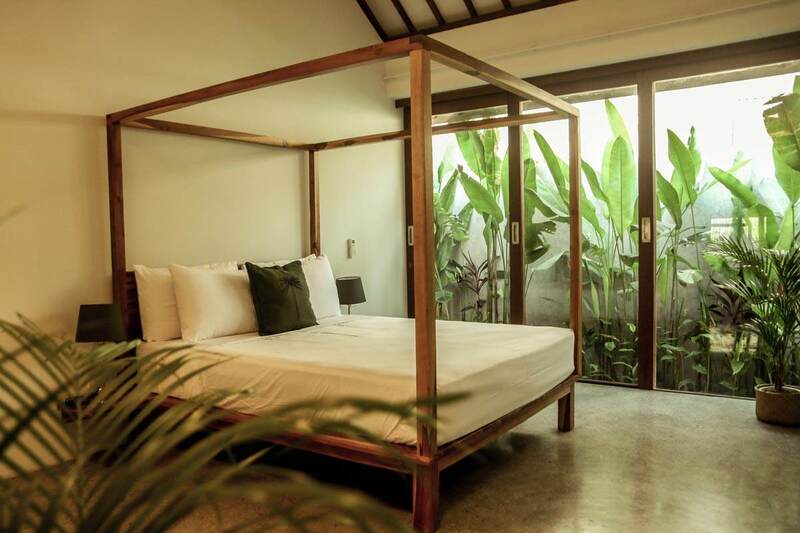 Villa Alba sleeps up to four guests in two spacious, tastefully styled bedrooms complete with sustainable sourced teak wood furnishings. 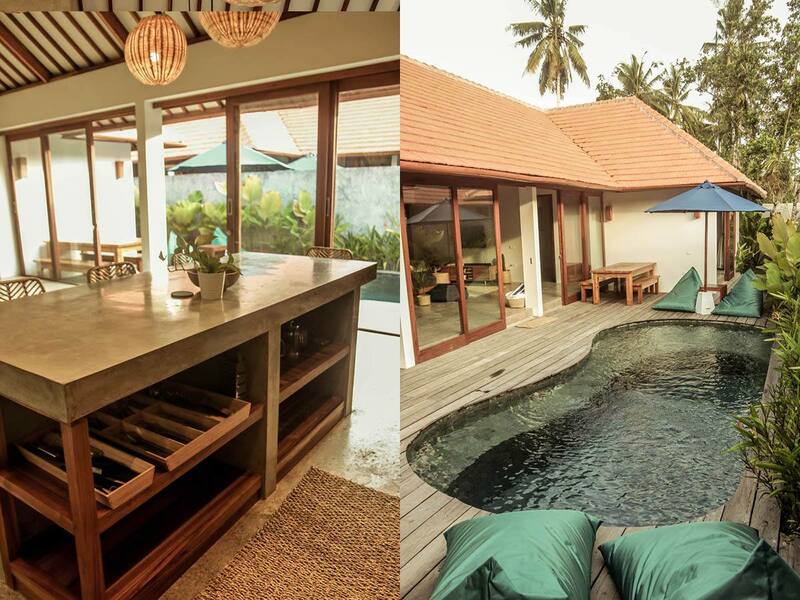 The villa features a large open plan living and kitchen area with sliding doors to the pool, deck and garden.